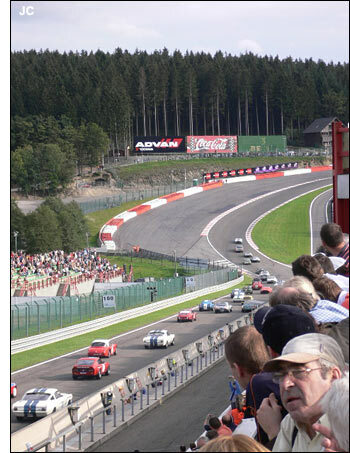 The top race of this 14th edition of the Spa Six Hours - in fact this was the only race when the event was created in 1993, a meeting which today counts no less than 13 races – took place late afternoon on Saturday. 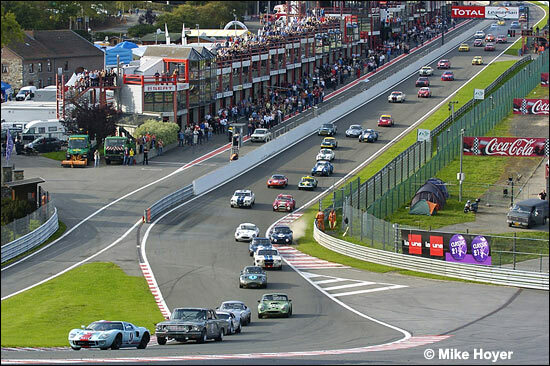 85 teams competed in this six hour endurance race, the start having been delayed by some twenty minutes. 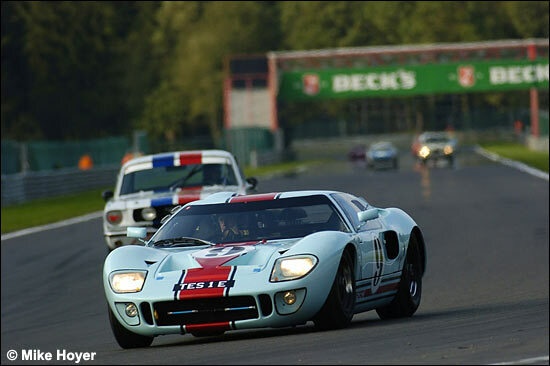 From the first few meters, the two Fords that had set the best times during the practice sessions, namely the #9 British GT40 of Lynn / Lanzante (on pole) and the impressive Fairlane of the German duo Feuerstein / Geröllheimer (Fred Feuerstein and Berney Geröllheimer are the German names of Fred Flintstone and Barney Rubble! ), immediately set the pace. Even though the positions evolved during the race with pit-stops, rain and three visits on track from the safety car, these two teams were continually at the forefront, at times sharing the limelight early on with the Porsche 904 of Frers / Zumtobel – but the Porsche retired with mechanical problems one hour into the race - and then with the powerful AC Cobra driven by the British team Bryant / Bryant / Wykeham (in the lead after two hours and then being forced to slow the pace through differential problems). 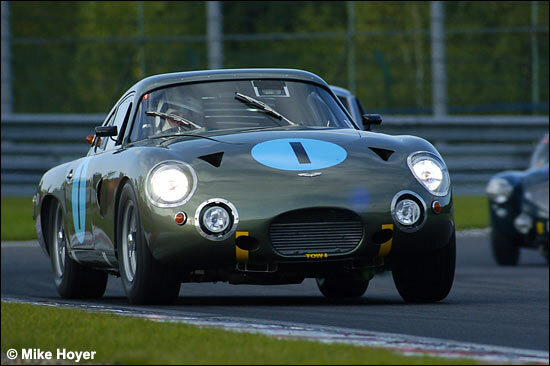 The half-way mark saw the “appearance” of the Aston Martin DB4 GT of the British pair Clark and Hadfield (above) and German team mate Friedrichs (the last winners to date) up in 3rd spot, one lap down on the leaders, having lost an enormous amount of time at the beginning of the race. The rain made an appearance on the dot of 20.00. Quite obviously less at ease on a soaking track, the Fairlane of Feuerstein / Geröllheimer conceded a fair amount of time - to the GT40 of Lynn / Lanzante who promptly took a lap advantage, never to be really threatened again (and having spent four hours at the wheel, Lynn was the main author of this success) - and to the Aston Martin of Clark / Hadfield / Friedrichs… who within thirty minutes of the end were a mere six seconds down. An effort demolished some minutes later when the car pitted for a final driver change! 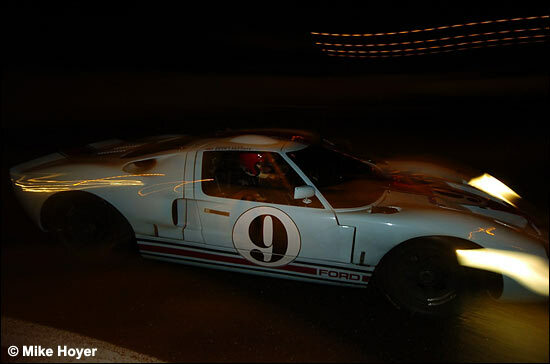 However, after the race, technical scrutineering left the results suspended until late Sunday morning when the Ford Fairlane of Feuerstein / Geröllheimer, second on the track, was officially disqualified for technical non-conformity. 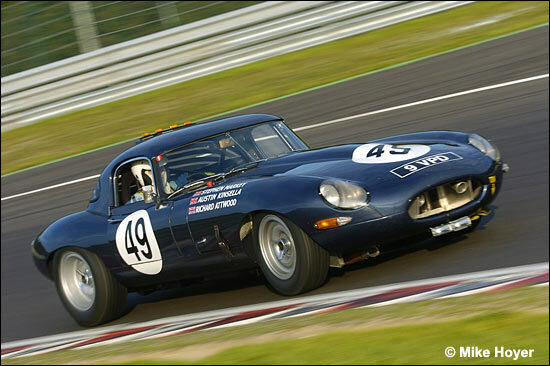 This is the third placed Richard Attwood / Markey / Kinsella E Type. 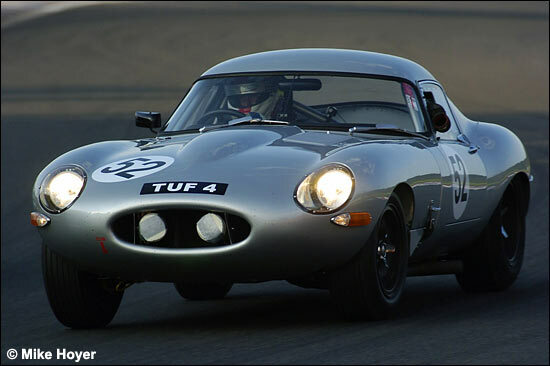 The Minshaws and Oliver Bryant finished fifth in this E Type. Amongst the Belgian competitors in the event, we should mention a 13th place for the driver from Brussels Eric Duthoit, teamed up for the occasion with the French duo Wilhelm and Grandidier in a Jaguar E Type, a 21st place for Marc Devis partnered with the Portuguese Barbot and the Brit Baker in an AC Cobra and the 23rd place for Michel Leempoel / Claude Boulangé in a Chevrolet Corvette, which they were driving for the first time. 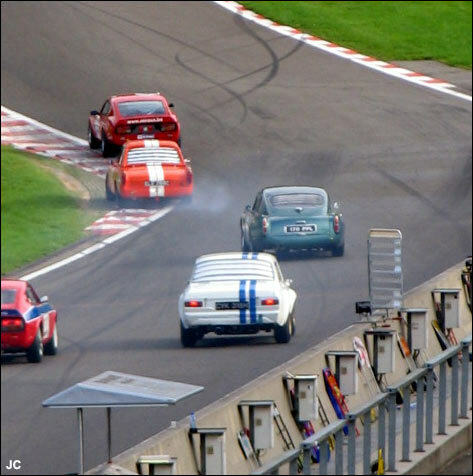 In the Eau Rouge Trophy, bringing together various non-ranked cars, the Miroux brothers (Belgian) had to concede victory to the Alfa Roméo GTAm driven by a very international team….Fitzsimons (British) / Tolich (New-Zealander) / Furiani (German), as a result of electrical problems encountered on their Datsun 240Z.